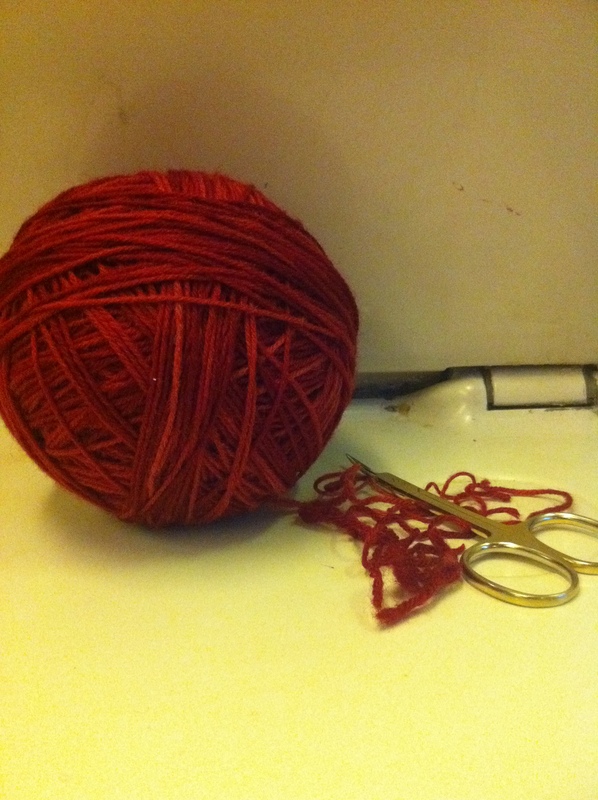 When I went to Devon earlier in the year I picked up this rather lovely looking yarn. The colour is just fab. I had planned on knitting a pair of socks with it but to be honest it seems a shame to hide this yarn. I am not really a shawl person, a chunky scarf, yes, but not really a shawl. I’m not sure why, they just seem a bit faffy and maybe too dainty and ladylike (?). Anyway, I’m knitting a shawl. Who knows why, but I am! I have chosen the Helvetica shawl in the hope that it will show off the yarn and not look too girly!